Hard to believe we are six months in. I hope you have been able to keep up the pace. It isn't usually that difficult when there are only two blocks to create and they are actually one in different sizes. I love it when my piecing is just spot on. 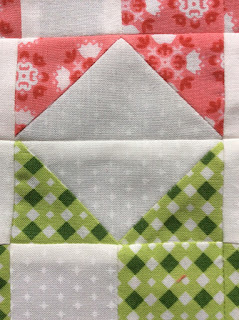 This is a fairly good close up of part of the block as it comes together. Happy colours and simple to do. The flying geese for this project have all been done with the stitch and flip method. I am working on my waste bonus triangles. The ones for the smaller block are small but then again I like small. Here is the photo of the pair of blocks for this month. They are called Strawberry Star. 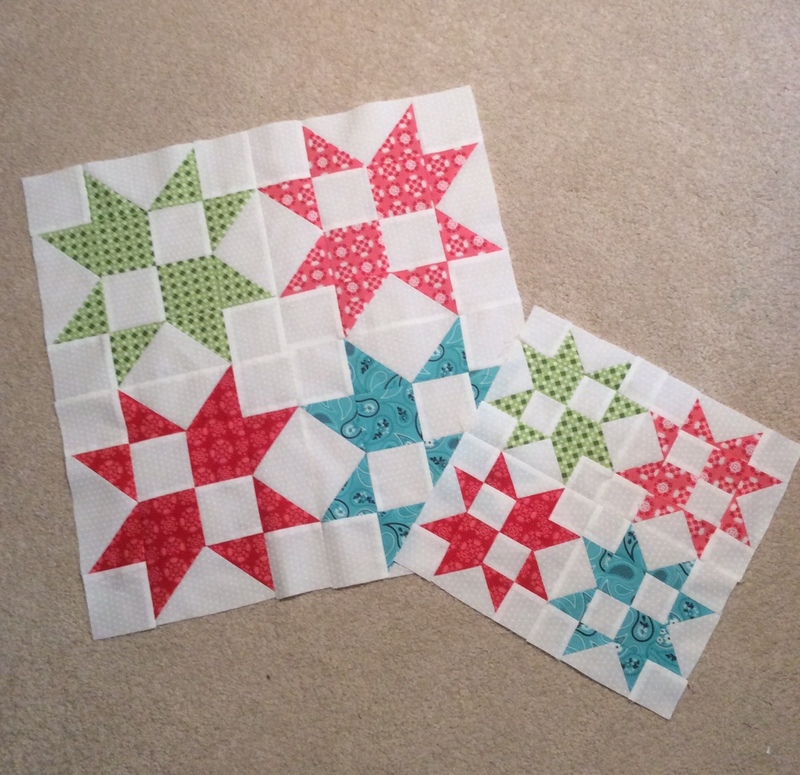 I made an assembly error last month so I paid much more attention to block orientation this month. After weeks of no rain we had a very overcast day that threatened rain but it didn't happen so an indoor photo was called for.